For this occasion, I’ve made a short video/ slideshow of our pictures taken through our first year together to our favorite song: Van Morrison “Someone like you”. Pictures we took in Toronto, Niagara Falls and Grand Bend, but also the ones taken spontaneously at home, which I like the most. The ones when we’re cooking together or just cuddling with a cup of cocoa ☺. We celebrated our anniversary twice. Unexpectedly, because we planned it only the weekend before that we’ll go out to a restaurant. 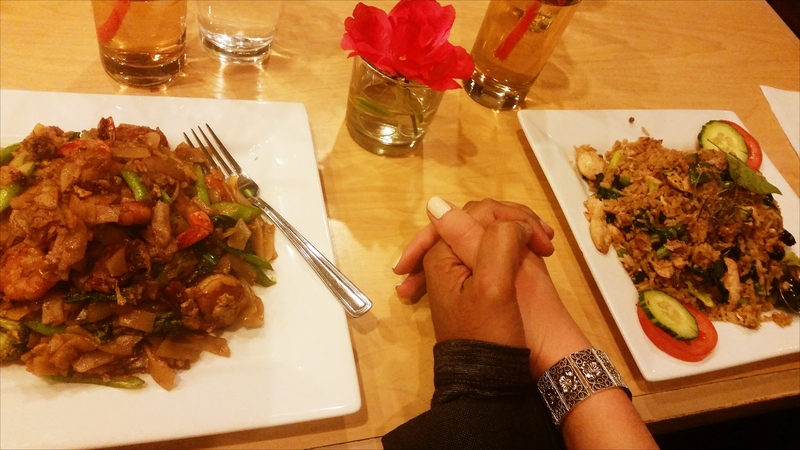 My love wanted to make a surprise and took me to one restarurant, but we would have to wait there 30mins to sit at the table so we decided to go to our Thai restaurant, where we’ve been already twice and once celebrating my birthday. It turned out that we had it all to ourselves, which was just perfect ☺. During our candlelight dinner my boyfriend surprised me standing up and asking me to dance with him for our anniversary. He knows how much I love to dance and I was extremely happy he thought about it :). As you can see it was all so simple, experiencing the simple Ula :D, as we both like :). I need to tell you one thing, my boyfriend’s mom, when she first met me this year, said to him that I seem “like a simple girl”. Isn’t it perfect? I guess I made a good first impression :D. Of course, at that time she didn’t know anything about simpleula.com :D.
Christmas and New Year is around the corner and I can tell you that I like Christmas time so much this year and I really cannot wait the actual Christmas Eve and Christmas Day, because it’ll be the first Christmas and New Year’s Eve we’ll be spending together ❤☺. no matter where and when it will happen! Just be patient! BTW, that Thai food looks amazing. I love Thai. I love that you found such a romantic partner. Not all men are by any means, or in touch with their emotions. Romance and romantic gestures are so important to keeping a relationship alive. I guess one key part of it though is for there to be communication and both people to consider the same gesture valuable/valid for it to be romantic/ for it to affect you. For example, if a guy buys his GF a ton of lingerie, shoes, nail polish, she may love it, or she might view it as being objectified, and the reactions of the couple depend as much on their communication as on the gesture itself. Thank you for following my blog on art, Ula, and best of success on your endeavors.